The client is a regionally-famous restaurant located in an area known for both in-state and out-of-state tourism. For several years, the client ran a direct mail campaign featuring the same “buy one, get one” promotion: a complimentary entrée with the purchase of another entrée of equal or greater value. Prior to each mailing, the client’s marketing team selected target households for the direct mail campaign list by leveraging standard demographic indicators, such as age and household income. This approach produced some positive results, but still the client sought to boost the campaign’s response rates and corresponding restaurant profits. To make this happen, the client’s marketing team turned to MindEcology, based on the agency’s demonstrated ability to employ advanced database marketing and data mining techniques that help businesses locate and reach their best customers. The client charged MindEcology with the task of increasing the rate of response per mailer and the overall offer redemption rate. Additionally, the report helped the client understand how to skip over the households that were least likely to respond, thereby avoiding wasted effort. 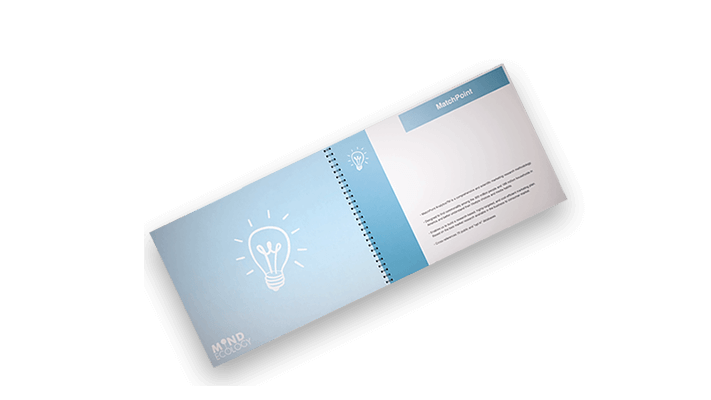 Notably, the mailer’s creative execution (graphics, copy, messaging) and the promotional offer remained the same as those of the two years prior. The only difference for the MindEcology-managed campaign was the process used to select the direct mail recipient households. 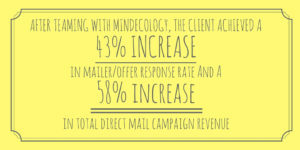 After teaming with MindEcology, the client achieved a 43% increase in mailer/offer response rate, and a 58% increase in total direct mail campaign revenue. Mailer Redemption Rate – Two Years Prior: 4.87% Weighted average – MindEcology Campaign: 6.96% 43% increase in customer offer redemption rate. Guests per Redeemed Mailer – Two Years Prior: 2.57 Weighted average – MindEcology Campaign: 2.85 11% increase in number of responsive guests per redeemed mailer. Campaign Revenue – Recent campaign (using old targeting techniques): $139,231 – Recent campaign (using MatchPoint™): $220,671 58% increase in total campaign revenue. * Net Campaign Profits – Recent campaign (using old targeting techniques): $42,944 – Recent campaign (using MatchPoint™) $86,999 103% increase in net campaign profits. 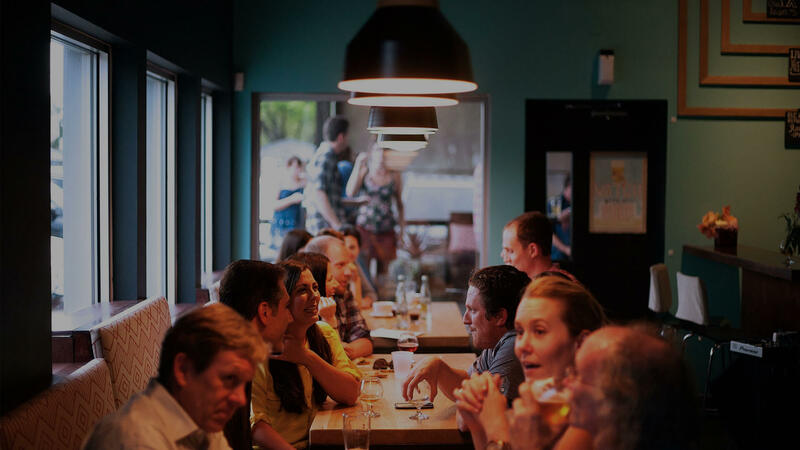 * Taking into account the projected results of the recent direct mail campaign had they not employed MatchPoint™ analytics, the return on investment (ROI) for the restaurant’s investment in MatchPoint™ was calculated at 529%. The long term actual ROI will likely be much higher, given that results of the recent analysis can be applied to their future direct mail campaigns without requiring additional investment in further analytics work.